You can see examples on my work on my website as well as on my LinkedIn profile. Some of my news articles can be seen on Muckrack here. Please also feel free to follow me on Twitter, Instagram and Facebook. Conservation has always been a passion of mine (I have a Blue Peter badge for my attempts at being an eco-warrior as a child!) and during my work in the Maldives I've been lucky enough to interview several marine biologists about the work they're doing to help re-build damaged coral reefs, rescue turtles, research the manta population etc. I wanted to see what's really going on under water so I learned to scuba dive and am currently a PADI Advanced Scuba Diver. 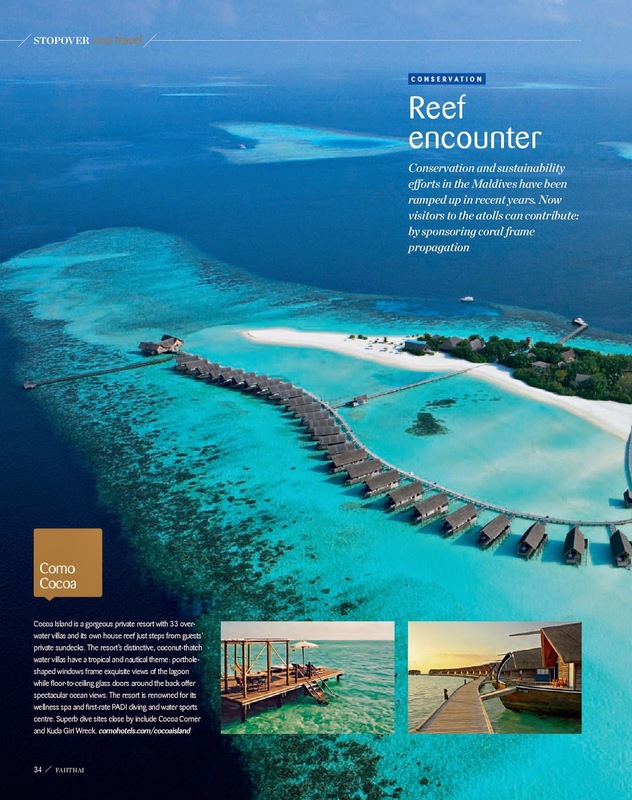 It was a pleasure to visit Cocoa Island in early 2014 to find out more about the resort's coral replanting project, whereby guests can sponsor a piece of the reef. This isn't just any bit of reef, in fact they use some ingenious methods to regenerate the natural reef using coral nodules attached to metal frames. Pretty quickly nature takes over and the whole thing is enveloped in healthy new coral, you'd never believe it hadn't always been there to look at it. Several other resorts also do this. I wrote about it for Fah Thai magazine here. 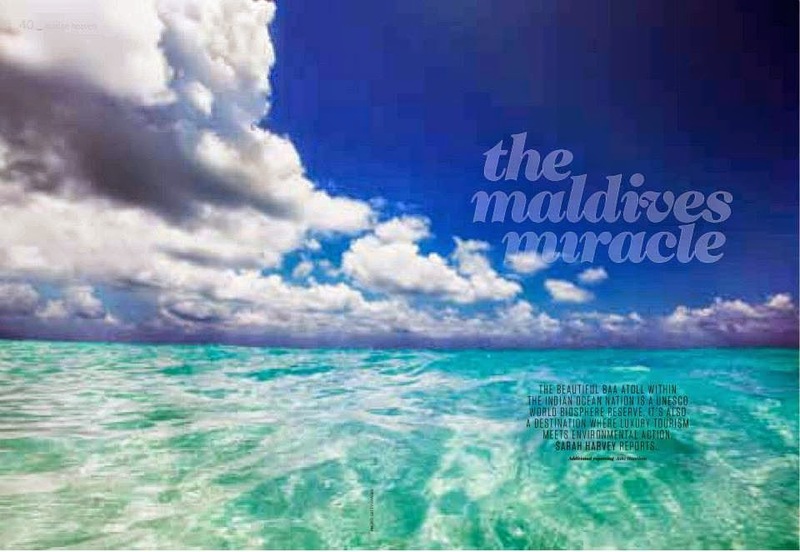 Think Advertising and I collaborated on producing a 2014 documentary about seaplane operations in the Maldives. 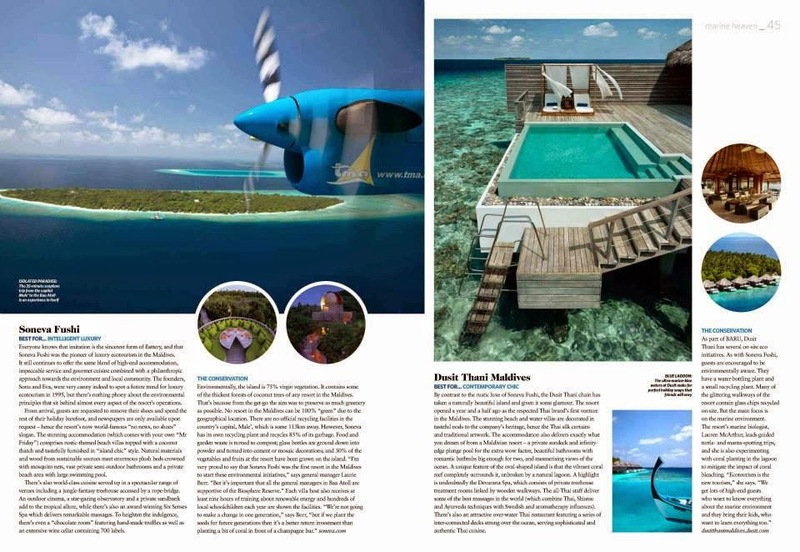 The Maldives has the largest seaplane operations in the world. In this video (which I wrote the script for) you can learn all about Trans Maldivian Airways, the passenger experience as well as the day-to-day life of the pilots who fly these Twin Otters without the aid of auto-pilot technology. I also wrote a post about it here. I'm completely in awe of professional freedivers. Holding your breath for 3 minutes whilst diving to depths of around 100 metres is something I could only dream about. Duck-diving down to about 10m is my current limit! 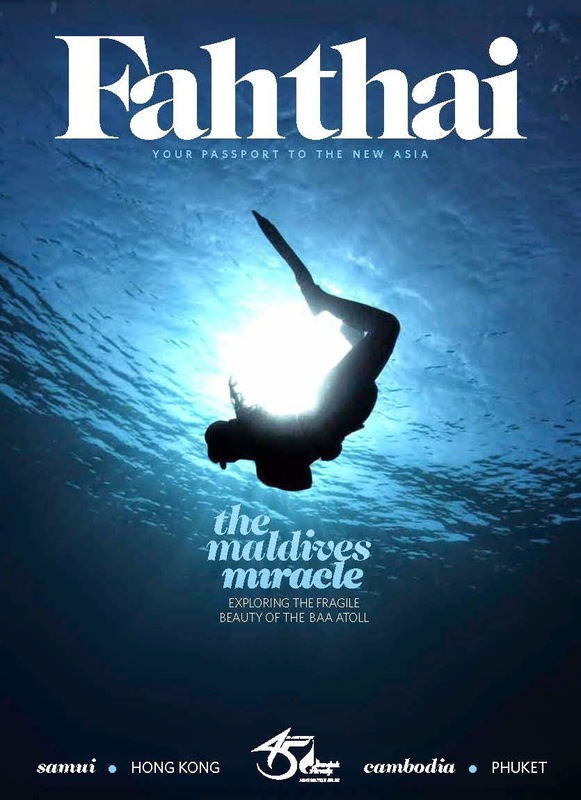 So it was fascinating to interview former women's world champion freediver Sara Campbell about her career for Fah Thai magazine in 2013 ahead of the Underwater Festival at LUX* Maldives. 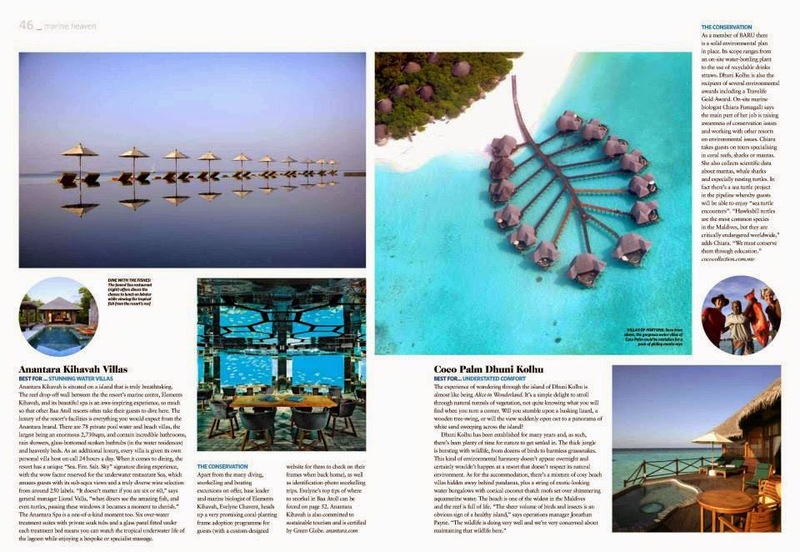 I was excited when Oryx magazine (the inflight magazine for Qatar Airways) asked me to write an article about what to do during 24 hours in Male'. 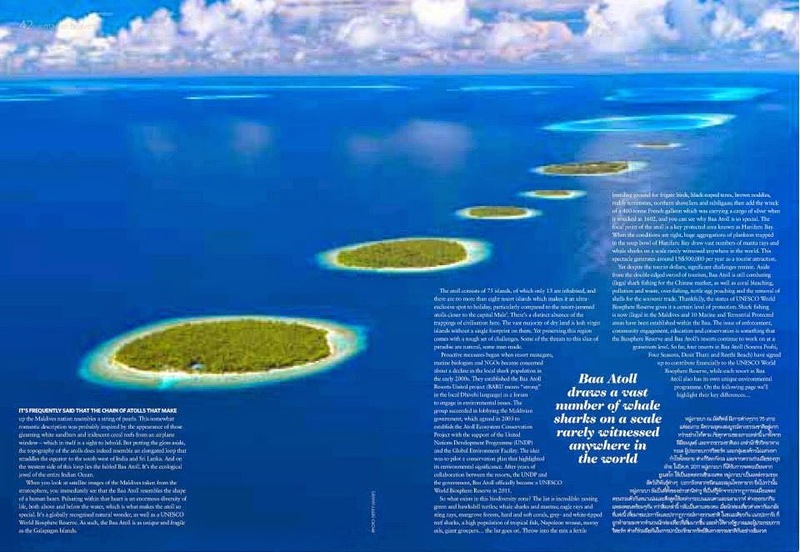 The 2.2sq km island isn't your typical Maldivian isle. For starters it doesn't have any natural beaches (only one tiny artificial one) and it's one of the mostly densely populated cities on the planet. So much for 'tropical seclusion'. However if you know where to go there's easily enough to entertain any curious visitors for a day or two. Here are the highlights. 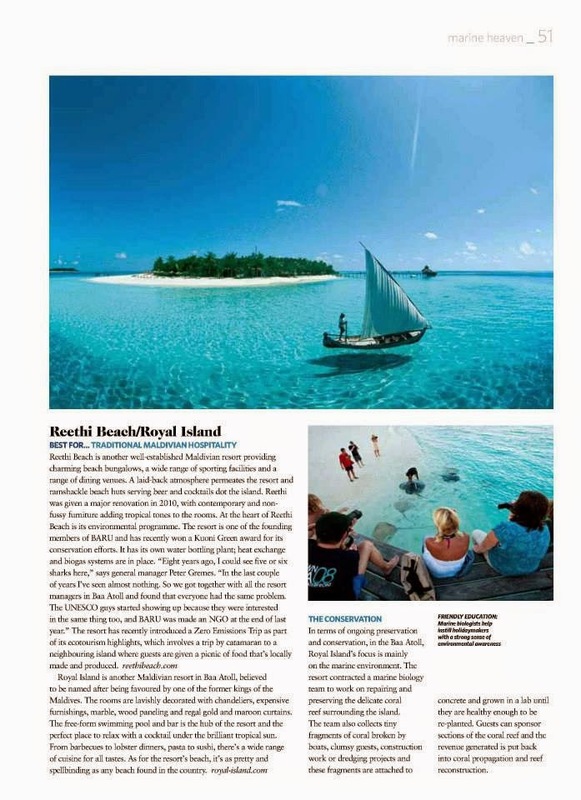 Serendib magazine (the inflight magazine for Sri Lankan airlines) asked me to write an article summarising as broad a range as possible of experiences in the Maldives. 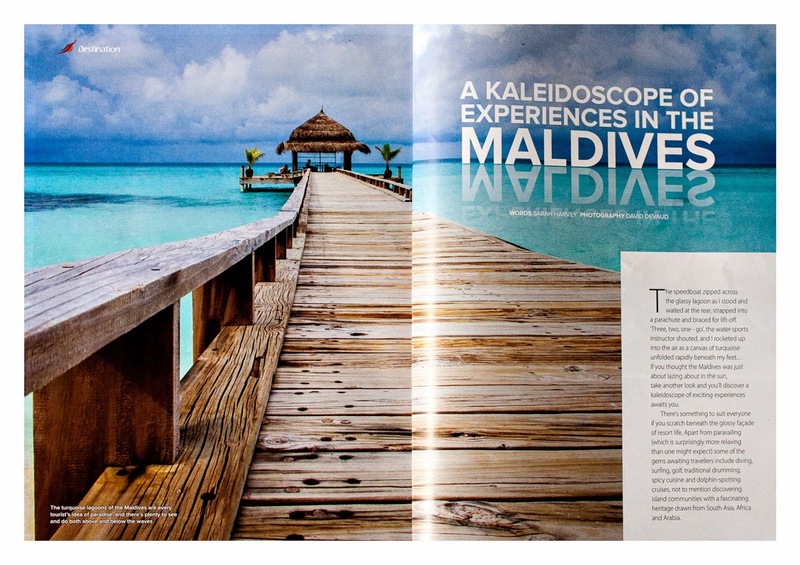 I selected parasailing, scuba diving, watersports and a day trip to Male' in my article A Kaleidoscope of Experiences in the Maldives in collaboration with photographer David Devaud. 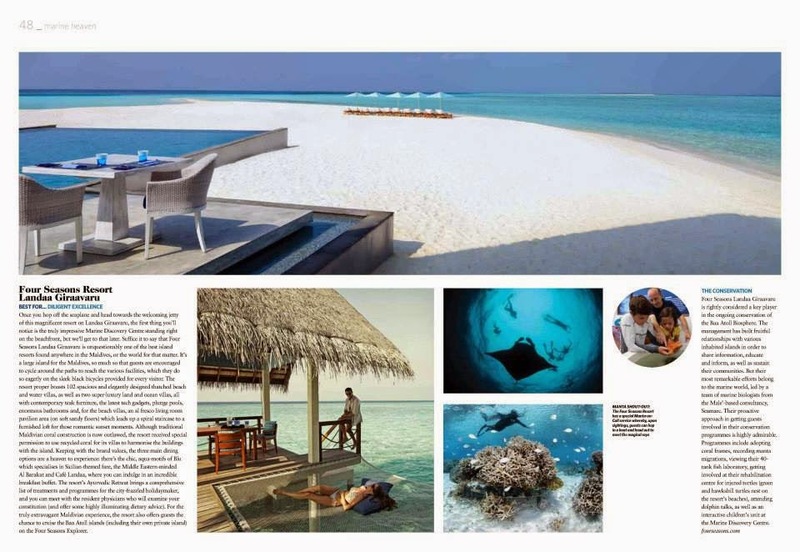 The budget travel market has been growing steadily over the past four or five years in the Maldives. This doesn't mean it's becoming a backpacker destination, although there's a small percentage of backpackers trickling through. I'd love to find out the exact statistics but from what I've witnessed the majority of tourists staying at guesthouses are families and couples seeking a slightly cheaper 'Maldives experience' rather than solo travellers. There's something for everyone but it's the kind of place that can get a bit lonely if you're travelling alone due to the isolation and overall romantic vibe. It's also worth noting that guesthouses are located within local communities segregated from resorts and as such are subject to different legislation; the most notable being alcohol is banned and bikinis/swimsuits can only be worn if there's a private tourist beach/sunbathing area on the island. I collaborated with Lucie M Photography on this Tiger Tales article. When I was learning to scuba dive some years ago I realised there are lots of articles on the web about how great diving is but there's actually very little information on the actual process of learning to dive so I decided to write a daily post describing what I learned on each day of my PADI Open Water course. I completed my course within two and a half days thanks to Thomas badstubner at Into Scuba in Hulhumale, Maldives (now relocated to Maafushi under the name Maafushi Dive Centre. I haven't looked back and am now and Advanced Diver. Here is Day One, Day Two and Day Three of learning to Scuba Dive in the Maldives. 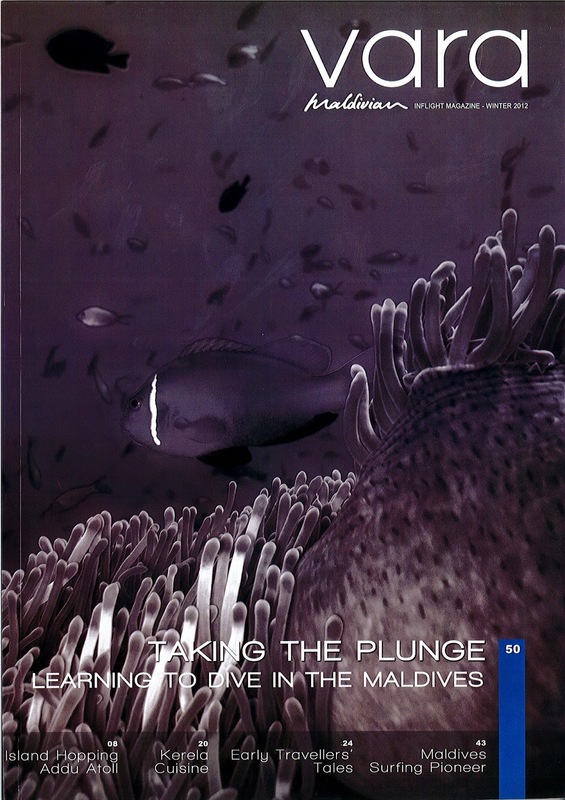 In 2012 I also collaborated with photographer David Devaud on an article about learning to dive in the Maldives for Vara magazine (the inflight magazine of Maldivian airlines). 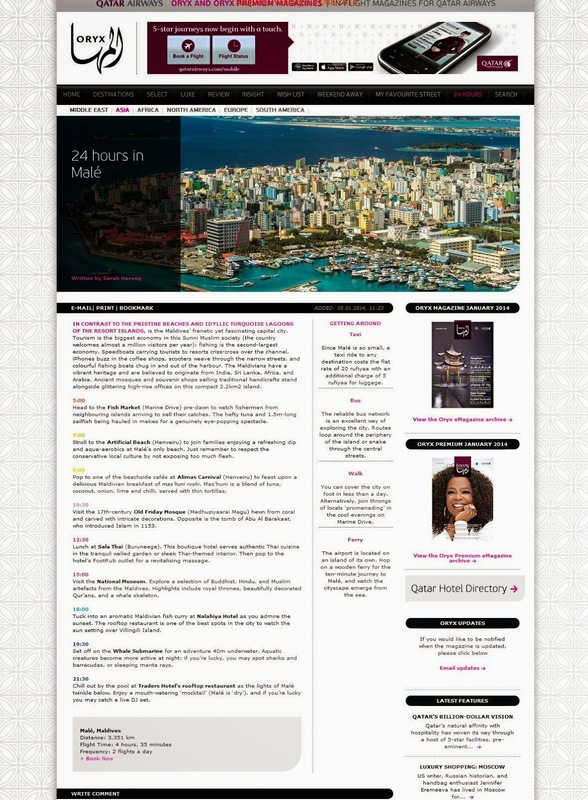 I recently wrote the content for AAA Resorts' new website which was designed by Haab at Space Media. I had to personally visit each of the islands, Filitheyo, Medhufushi, Zitahli and Bathala for my research. 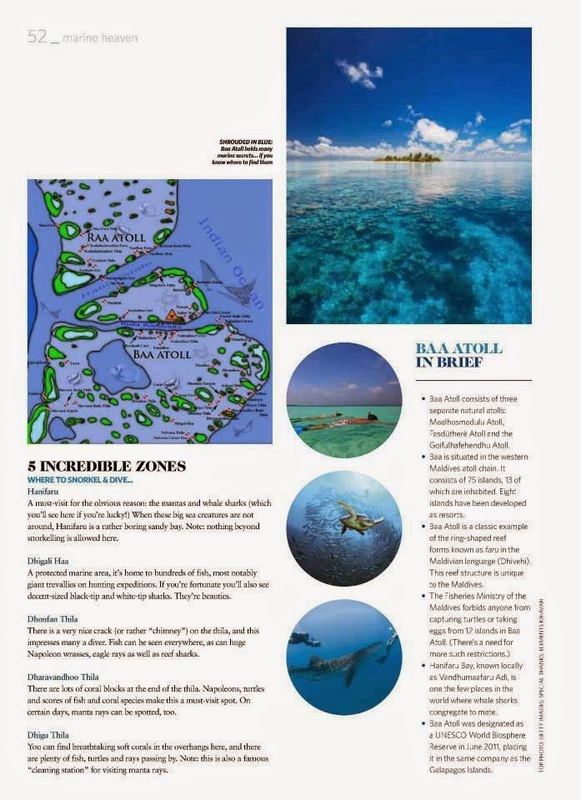 This included diving at each of the resorts too in order to update the info about the Werner Lau dive centres there. (The diving was genuinely impressive!). I also wrote some posts for the integrated blog including this one about the experience of diving with mantas at Filitheyo..
Sri Lanka is going back to organic! Rather like in various capital cities around the world, Colombo has caught onto the trend of organic farmers markets and a number of farmers are ditching the chemicals and returning to more natural methods of farming again. The Good Market has really brightened up the area and also is helping to support local producers with Fair Trade agreements. 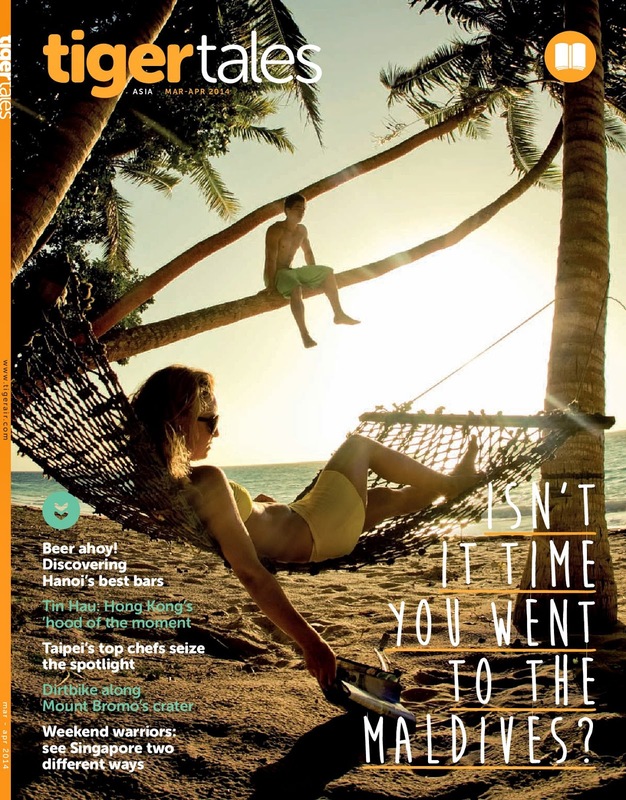 In 2013 I went to check it out for Living Essentials' Colombo Living Guide..
Before I left the UK I was a freelance journalist working in London. My main focus was news but I also wrote a lot of travel articles too including this one about exploring a new side of Portugal. for Archant. The majority of British travellers only see Lisbon and the Algarve but the tourist board took me to Alentejo; a beautiful region of hilltop villages, cork plantations, vineyards and a UNESCO World Heritage Site, just inland from the Algarve. I stayed at a spectacular boutique hotel named O Poejo in Marvão. On an entirely different note (but I'll mention it because I'm a history buff and am proud of it), in another life I interviewed a childhood friend of Anne Frank for CNN to commemorate what would have been the 80th birthday of the tragic diarist. In the article Eva Schloss recalls Anne's chatty and outgoing character.